For years, book bands have provided an easy reference point to help teachers choose reading books for children. While classifying books from pink to lime and beyond may appear useful, the grading is based simply on factors such as the length of words, sentences and texts, the range of punctuation used, and the size of print. Because children’s prior phonic knowledge is not considered, book bands instead rely on repetitive, predictable text, sight words and multi-cueing1 & 2. Ultimately, the aim of phonics teaching is to enable children to become confident, capable readers, who can decode and understand whatever they choose to read. Good decoding is a prerequisite of good comprehending. Decodable reading books should be used to support a high-quality phonics programme. With optimal teaching through systematic synthetic phonics, most children will no longer require books that are matched to their phonic knowledge by the end of Year 1/Primary 2. By this stage, children should be able to decode most words independently. The RRF would stress that all books written in English are decodable for those who have enough knowledge to decode them. Some children will still benefit from the support that decodable readers can provide, and these should be used as appropriate. All major publishers now offer phonically decodable strands as part of their range. We recommend that decodable readers replace book banded ‘look and say’ books in the early stages in Reception / Primary 1 and Year 1 / Primary 24. 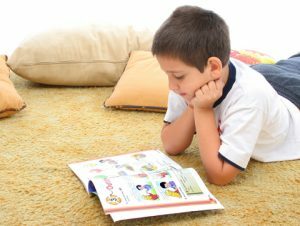 In England, the use of Book Bands is incompatible with a statutory requirement of the National Curriculum (2013): that children should be taught to ‘read aloud accurately books that are consistent with their developing phonic knowledge and that do not require them to use other strategies to work out words’. We recommend that other curriculums adopt similar statements, which are based on evidence5. 1 In ‘Book Bands for Guided Reading’, produced by the UK Reading Recovery National Network, the words, ‘taking risks and making informed predictions’, are used; then there is more detail about using illustrations, initial letters, prior knowledge, language syntax, etcetera, as the child ‘reconstructs the author’s meaning’. 2 In ‘Book Bands for Guided Reading’, it is stated that children must learn to select ‘the most efficient strategies from a range’ to read unfamiliar words. 3 Context is occasionally required to determine the meaning of a word for pronunciation purposes as with the different vowel pronunciations in ‘read’ and ‘wind’. Pictures and context support meaning-making, which is different from promoting word guessing for lifting the words off the page. 4 While we recommend decodable reading books for independent reading practice, children should always have free access to a full range of texts, including non-fiction. 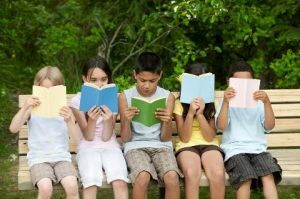 High quality experiences, including sharing and discussing books, stories, and reading of all kinds, should be a prominent feature in all classrooms.